The roots of Marv Heemeyer’s war against Granby are more complex than his bitter disappointment over losing a zoning fight with the town of Granby. The wellspring of Heemeyer’s rage can be traced back to his purchase of the land used for his Mountain View Muffler shop in western Granby. That purchase took place long before the zoning hearings. Interviews with Cody, Joe and Susie Docheff, the owners of Mountain Park Concrete, reveal that Heemeyer’s failure to negotiate the sale of his muffler shop land to the Docheffs at inflated and varying prices was the original reason for his difference of opinion with the Docheffs. Mountain Park Concrete is the company that owns the concrete batch plant that was severely damaged in Heemeyer’s bulldozer rampage June 4. The Mountain Park Concrete property borders the former Mountain View Muffler property and it was Heemeyer’s first target in his attack on Granby. 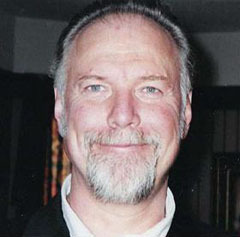 Susie Docheff, the wife of Cody Docheff, said Marvin Heemeyer’s anger and unreasonable nature became clear to the Docheffs in the course of attempted land dealings with Heemeyer. 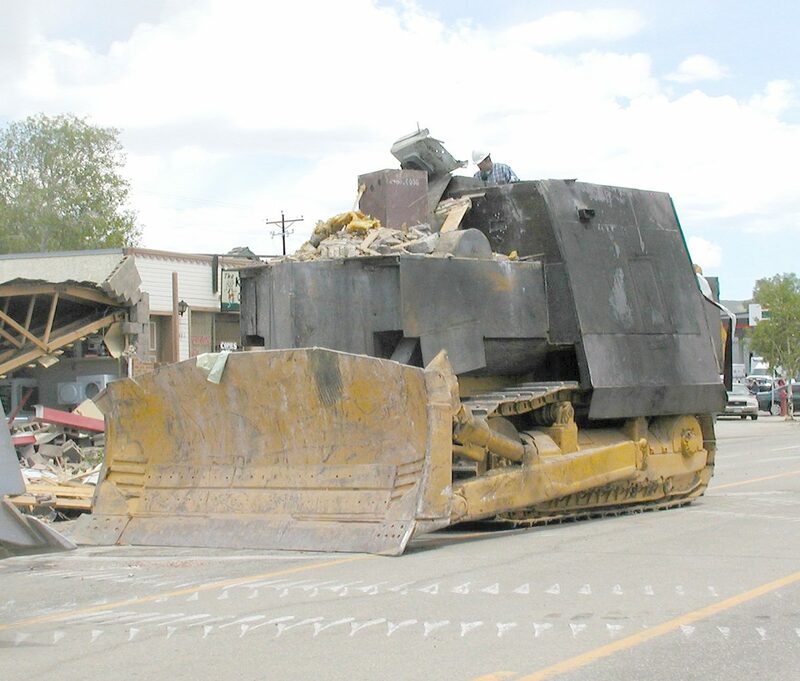 She said Heemeyer, who destroyed much of Granby after driving an armed and armored bulldozer through the town June 4, seemed to thrive on setting up deals to fail, all so he could harbor grudges toward the other parties. The story of Marv’s relationship with the Docheffs family started when Heemeyer bought the two-acre parcel for his Mountain Muffler business in 1992. “It would have started when Marv bought that land and building from Resolution Trust,” Susie said. The land was bought at auction from the Resolution Trust Corporation, which administers the holdings of failed banks. The Docheffs had owned the property but lost it to the bank after Previous business plans for the area had failed. When the land went to auction, a friend and business associate of the Docheffs had hoped to buy the property so that he could sell it back to the Docheffs at a later time. Cody Docheff had wanted to own land in that area in western Granby because his concrete batch plant operation was being operated on land that he was leasing from the Thompson family, located on a mesa north of the current batch plant. Docheff wanted his plant to be on land he owned. The purchase of the land by the friend, to be sold back to the Docheffs, would hhave started that process. But a man named Marv Heemeyer showed up at the auction and out-bid Harris, buying the two-acre parcel for $42,000. 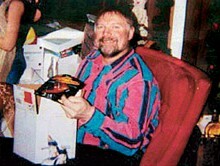 At this point, Susie said, the Docheffs were first introduced to Marv Heemeyer. They wondered who this man was, Susie said. Without that two acres, the Docheffs then decided to buy other property in that area, all for the purpose of moving the concrete plant near the Granby West Business Park, north and east of the intersection of Highways 34 and 40. But those two acres still weren’t enough for the Docheffs’ concrete plant, so Joe Docheff approached Heemeyer and asked him if he’d be willing to sell the two acres Heemeyer had purchased at auction. The Cocheffs had approached the town about placing a concrete batch plant on property south of Heemeyer land and closer to the business district on Highway 40, but the town encouraged the Docheffs to move the operation farther away from the hotels and businesses.. When the town gave its preliminary blessing to a site farther north, that’s when Joe Docheff approached Heemeyer. Joe Docheff and Heemeyer worked out a verbal deal over a handshake in which the land would be sold to the Docheffs for $250,000. That would be enough for the Docheffs to build their concrete plant. In the meantime, Joe Docheff had gone to the town of Granby and asked if the town would be amenable to an indoor concrete plant on the four acres of land there to include Heemeyer property and the land they had recently purchased. The town indicated an early sense of approval, with some conditions. But something changed in Heemeyer mind about the price agreed upon. “Then Marv came back to us and said he wanted $375,000, and we simply couldn’t afford that,” Susie said. Joe said Marv explained the increased price by saying since the town gave the tentative OK, his land was worth more. “Then he just kept raising the price on Joe,” Cody said. “That’s when we bought this ground,” referring to the land on which the damaged batch plant currently sits. The Docheffs then negotiated with Fred Collins to buy what was known as the Granby West Business park, a 22-acre parcel that stretched from the current batch plant all the way to Highway 34. It was designed as a business park. It had originally been purchased by Collins as part of the speculative land purchasing fever that took place in Granby when it was proposed that gambling be brought to Granby. That effort large parcel. He had also originally purchased his land from the Resolution Trust Corporation. The Docheffs then had an agreement to buy the land. With that land in hand, they could develop the batch plant and own some commercial property at the same time. But they went back to Heemeyer, hoping to leverage their new purchase so Heemeyer would give them the two acres at Mountain View Muffler, which was still good property for the Docheffs. They offered to trade with Heemeyer highway frontage land in the subdivision they hoped to buy for the two-acre Mountain View Muffler site. Joe Docheff said the deal would be based on independent appraisals completed by Heemeyer and the Docheffs. At first, Joe Docheff said, Heemeyer agreed to this idea. But then Heemeyer upped the stakes in the proposition, demanding that the Docheffs also build him a new building on the new site as well. Once again, this change in the deal left the Docheffs with a proposal they couldn’t accept. Susie said Heemeyer insisted that they guarantee they would honor his offer, which they couldn’t do anyway since the land hadn’t been zoned yet and it wasn’t totally their land. At this point, Heemeyer became difficult she said. this (batch plant proposal) all the way, and that’s what he did,” Susie Docheff said. But there was yet another complication that could have prompted Heemeyer’s ire. The building in which he was located didn’t have water or sewer, which is required by the town code for land close enough to a sewer and water line. Just such a sewer line, made active because the Docheffs build a lift station in the business park, passed near Heemeyer lot. But Heemeyer needed the Docheffs’ approval to cross their land to hook up. Knowing Heemeyer needed the sewer hookup to be legal, the Docheffs hoped to leverage Heemeyer need for the sewer hookup to convince Heemeyer to come to a reasonable resolution of the land disputes. Heemeyer didn’t relent on his claims and when he took his opposition of the Docheffs’ new batch plant to the town he demanded that the town force the Docheffs to let him hook on. But the town couldn’t force people to do such a thing through private property. So when the hearings actually got started on the concrete batch plant proposal before the town of Granby, Heemeyer was harboring large amounts of ire toward the Docheffs over these land machinations. As promised, Heemeyer opposed the batch plant proposal all the way. He sued the town and the Docheffs in the course of the process, delaying the plant and costing the Docheffs extensively in legal fees. The hearings, at first attended by enthusiastic neighbors opposed to the plant, turned less acrimonious as they advanced. Fewer people were opposed to the plant because of changes insisted on by the town, partly as a result of Heemeyer opposition. Heemeyer also frequently called the Environmental Protection Agency in an attempt to show how the new indoor concrete batch plant was hurting his property and business. Joe Docheff said the EPA finally stopped responding to Heemeyer calls because they were a nuisance with no basis in fact. Susie Docheff said their indoor batch plant doesn’t create much dust at all. In fact, she said, she thought that business use next to Heemeyer land actually helped his land values. Heemeyer opposition failed to stop town approval of the batch plant proposal. But the problems for Heemeyer didn’t end there. He was still in violation of the town code for not hooking up to the sewer. The town pressed the issue and Heemeyer refused to hook on, partly because he couldn’t, except at great expense, because the Docheffs weren’t inclined to let him hook on through their property. By that time Heemeyer had decided to sell but the town of Granby wanted assurances that if he sold the new buyers must have a legal sewer connection put resulted, ultimately, in Heemeyer being fined by the courts for contempt since he had refused to obey the town’s laws. 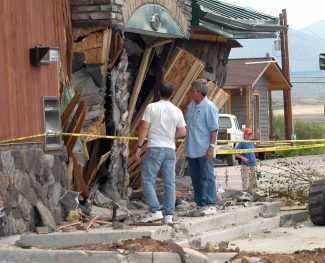 “He was really angry over the septic tank issues,” Susie said. He did not hook up to the sewer. Joe Docheff said once all the zoning hearings were over, and after the batch plant was up and running, Heemeyer never once asked the Docheffs for permission to hook onto the sewer across their property. County records show that on Nov. 26 Heemeyer sold the two-acre Mountain View Muffler property to Horizon Property Management, which owns The Trash Company, for $400,000. At that time, the sewer issues still hadn’t been resolved and the town advised the new owner to resolve the issue according to court-ordered agreements previously reached with Heemeyer. The requirement to hook up to the sewer was attached to the land, allowing Heemeyer to sell the land. After selling the land, Heemeyer was allowed to use a metal shed he had built on the property. That shed was where he build his armored bulldozer. Susie Docheff is mystified by Heemeyer, saying he never really worked many hours at the muffler shop, working only two or three days a week. And she believes putting in the batch plant actually helped his land values, not hurting it, as Heemeyer claimed. Susie Docheff said Heemeyer’s behavior with business deals reflected a pattern. Susie Docheff said she’s a little bit mystified by some comments she’s heard to the effect that Heemeyer was really just a big teddy bear and was really nice guy who was a victim in the whole affair. “I think people saw the real Marv Heemeyer of Friday,” she said, adding that she thought Heemeyer was prepared to kill on his rampage. Docheff tried to stop Heemeyer machine by running a loader into the bulldozer as it was damaging the batch plant. Heemeyer fired at Docheff numerous times from his bulldozer, narrowly missing Docheff. She said people were always very worried about the temper of Cody during the sometimes contentious batch plant hearings. But she thinks the person people should have been watching was Heemeyer. She said she wanted to thank all those who have helped, and offered help during the crisis. The batch plant is currently operating – it got going on Monday, June 14. “We saved the batch plant,” Cody said, noting that the critical operating machinery wasn’t badly damaged. Cody said the family greatly appreciates all the help they’ve received. 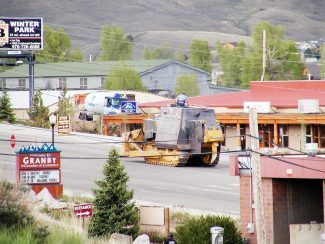 “The people of Grand County and the contractors . . . you couldn’t ask for anything better,” he said. “He caused a lot of damage, a lot of harm. But we’re still here,” Cody said.